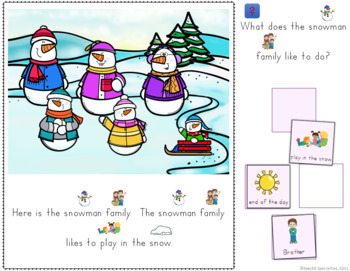 This product includes 3 Winter themed interactive emergent readers designed to help children develop reading comprehension skills. These easy read books are perfect for special education and regular classes, guided reading, literacy centers, work tasks, and more! 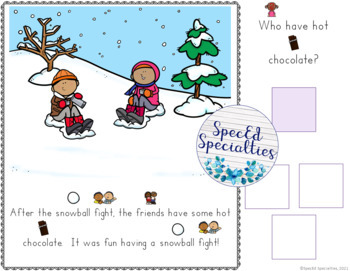 Students read the sentence on each page using the simple sight words & picture cues, read the basic comprehension question, choose the appropriate image tile, and place it in the box at the bottom of the page. -ask basic re-tell questions rephrasing the text, also with basic sight words and simple picture cues. 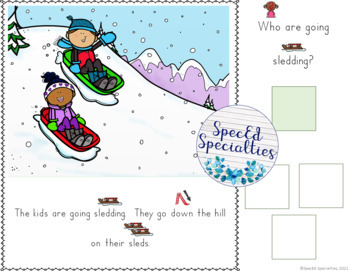 Find Level 1 Winter themed reading comprehension books here. 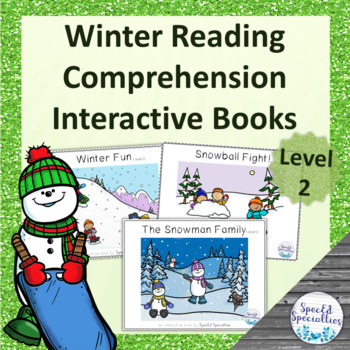 Level 3 Winter Reading Comprehension books coming soon! Follow me to be the first to know!